A city trip is always a good idea, don’t you think? Especially when winter drags on and the craving for sun and warmth is getting bigger with every day. This desire makes us want to book a flight into southern regions immediately. Right now. These are my 10 best weekend breaks in Europe with my personal tips. This fantastic city is still a bit underestimated in my opinion. What a pity. Valencia is a charming city with a beautiful historic old town and lots of tradition. Plus Valencia is truly authentic. If you, like me, don’t speak Spanish, you might have to basically use sign language because many locals do not speak English. But they are so lovely and friendly and will try to help despite the language barrier. 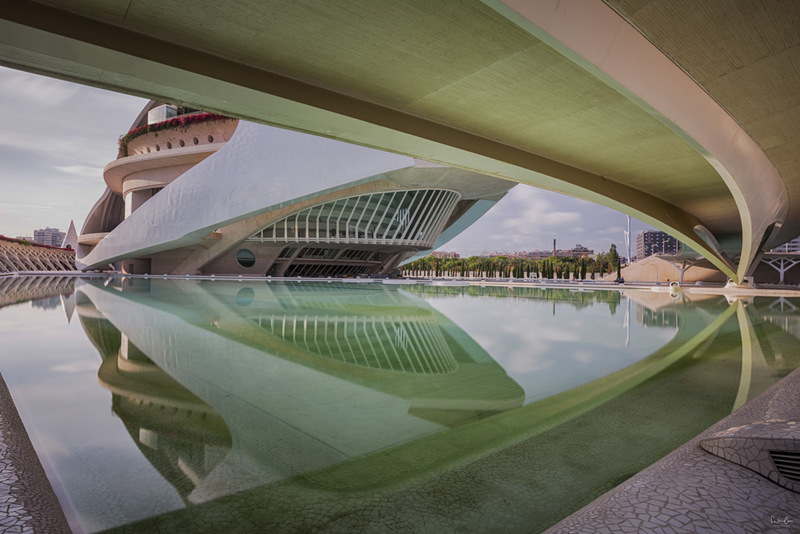 An absolute must visit is the City of Arts and Sciences: A paradise for photographers and architecture lovers. Valencia has an airport, but unfortunately, not all airlines offer non-stop flights. However, you can find great deals with 1 stop. Lufthansa and RyanAir serve Valencia from several European cities. My hotel recommendation for Valencia is the Vincci Palace, a cool design hotel in the historic old town. If you need some tips on how to spend your perfect weekend in Valencia, then check out this article. Madrid means pure lust for life. It seems life only begins in the evening when everyone finishes work and meets for a glass of wine in one the bars in the city. There are a countless number of bars and they invite you to turn the night into day. And with beer and tapas one can bear staying in for a while, right? If you had too much of the night, you can have a rest in one of the huge parks and start the day slowly. Have a picknick in Buen Retiro Park or return your spirits by rowing a boat on the lake. After that, you can explore the huge variety of Madrid’s arts and culture and photograph the beautiful architecture of the city. Madrid is easier to reach than Valencia because most of the European cities and airlines offer non-stop flights. The center of nightlife is in the area around Puerto del Sol, Gran Via is Madrid’s main road. The historic district is called Opera where you will find the royal palace. It’s located west of Sol. The grand boulevards and Retiro Park are located east of the city center, starting at Calle de Alcala. It is the home district of big museums such as Museo del Prado. Salamanca in the north is the exclusive quarter with Plaza de Colón and the prestigious shopping streets. Argüelles, north-east of the city is supposed to be the emerging neighborhood with heaps of cafes and bars and the cableway that brings you to the biggest park in Madrid, Casa del Campo. Admittedly, Barcelona is not an insider tip. But to me, this place still belongs to the timeless classic cities among weekend breaks in Europe. Barcelona just always works out well. The location at the sea and the pleasant temperatures make Barcelona to a very popular destination practically all year long. My favorite district is Gràcia, located north of the Las Ramblas boulevard where you’ll find this homey atmosphere compared to the charm of a little village. Have a rest in one of the cafés and dive into the world of the Catalans. 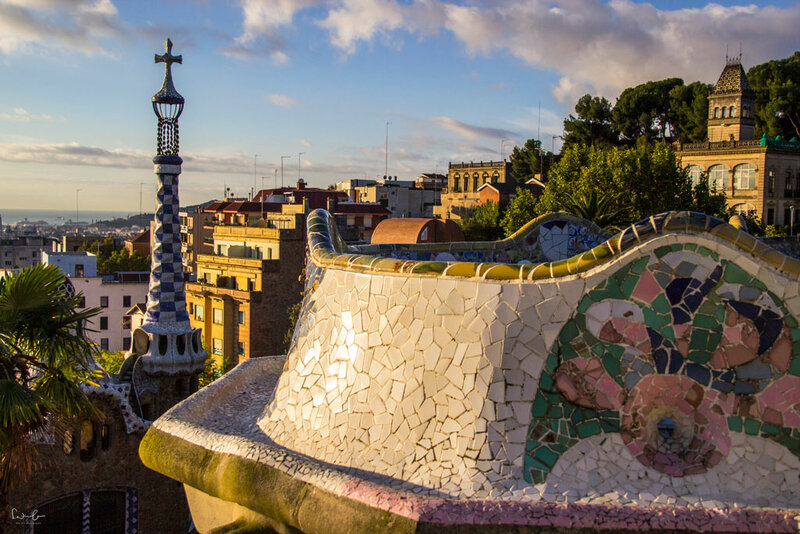 If architecture is your kind of thing, follow Gaudí’s traces or marvel at the modern architectural buildings in La Barceloneta. 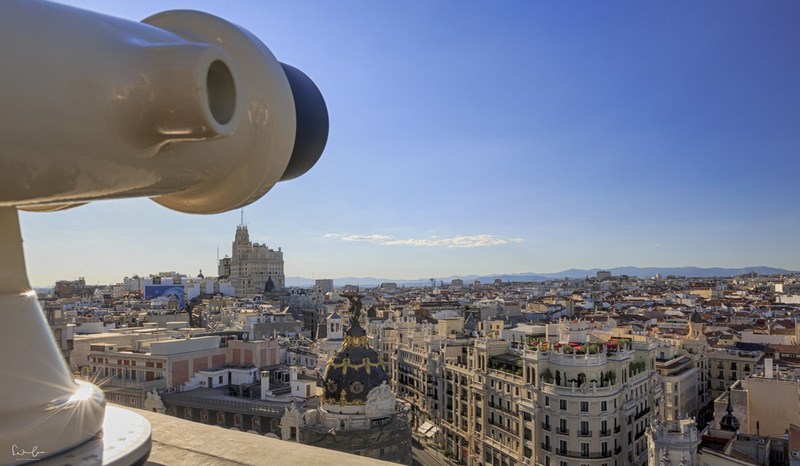 Just like Madrid, many airlines offer non-stop flights from major European cities. Even from my home city Vienna – I love it! Here’s my guide through the districts of Barcelona. I hear everyone saying how much they love Lisbon. And I can totally relate to that because this city got me, too. The city located at the river Tejo with the beautiful light and the dilapidated houses, the authentic restaurants and the wonderful people. The historic trams rattle through the narrow streets while you hear Fado music emanating from the houses. 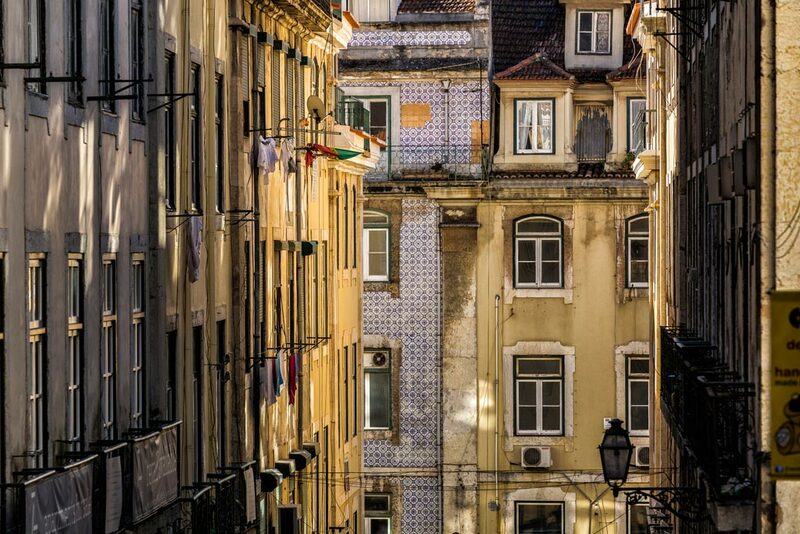 Meet the hipsters in LX factory, feast your senses through Lisbon’s cuisine in Time-out market and visit the MAAT museum, a place for modern art and architecture. Find my Lisbon top picks here. Descobertas Boutique Hotel Porto is a lovely boutique hotel in the heart of Porto close to the riverside. They’re quite popular, so you might have to be fast. In Palma you can kill two birds with one stone: you’ve got a city break and you can combine it with a side trip to the most beautiful beaches. Sounds great, right? Mallorca is upon getting rid of its dubious reputation due to its „racket section“ near Palma. The mayor of Palma has launched several initiatives to stop the heavy drinking tourism and until these succeed, just avoid Schinkenstraße and rather enjoy the beauty of the city Palma and the rest of this wonderful island. 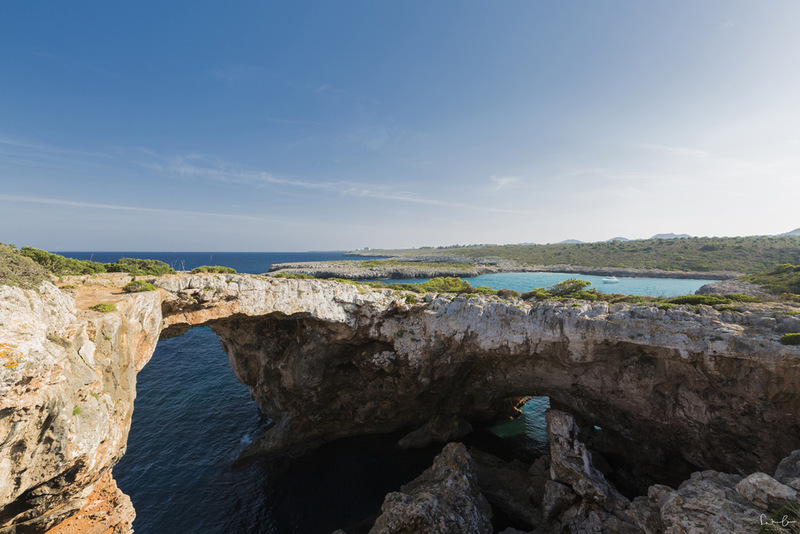 Here’s my guide for a wonderful long weekend in Mallorca. 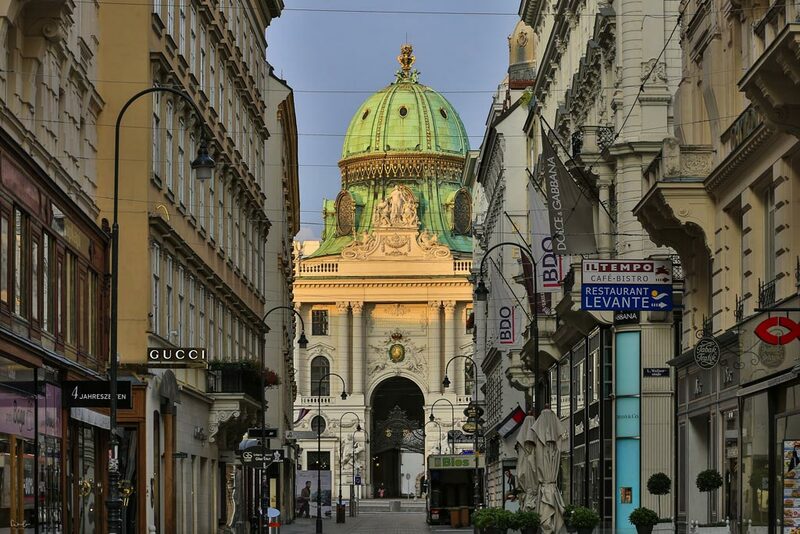 My hometown Vienna may not remain unmentioned in this post because it is just always worth a trip, no matter what time of the year. However, especially in spring, when nature starts blooming, it seems also the Viennese people revive. Winter is pretty long and grey in Austria (grey in Vienna) and the first sun rays work wonders. All the outdoor dining areas (in Austrian called Schanigarten) re-open and a good glass of Austrian chilled white wine tastes much better outdoors. Are art and culture your kind of fun? Then Vienna is your place to go. Do you love architecture? Then you will jump for joy. Are you the unhurried traveler? Then have a walk through the city center and drift along. Vienna is also famous for its coffee culture. Coffee goes with cakes and tortes. I couldn’t care less about the calories. Here’s my guide to the famous Viennese coffee houses. The first district and heart of Vienna is encircled by the „Ringstraße“. On the boulevard, you will find many of the important historic buildings as well as heaps of luxury hotels. If you need to watch your budget, look out for hotels in the districts 2 to 9. These districts are close to the center and all of them have its own charm and characteristics. Arthotel Ana Boutique Six is a pretty boutique hotel in the 6th district right off the main shopping street. I’d say, Bologna is an insider tip. 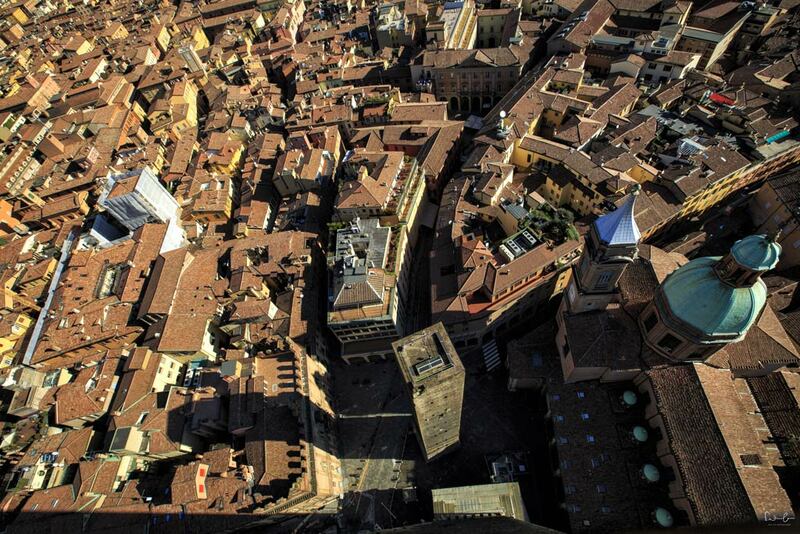 No one ever mentions Bologna when it comes to short city getaways. But hey, this city is lovely. It starts with the food. Italians just know how to cook and simply every dish tastes delicious. Have a seat on the main square for hours, drink coffee and let coffee time turn into Italian aperitivo time. The market halls house several food stalls and restaurants where you will find the Bolognese enjoying their evening, talking loudly, gesturing with their hands and making emphatic facial expressions. The city is pretty small but pretty nice with pretty lovely people. My favorite restaurant in Bologna: Osteria della Lanterna. Try the Tortellini in brodo! Buon appetito. 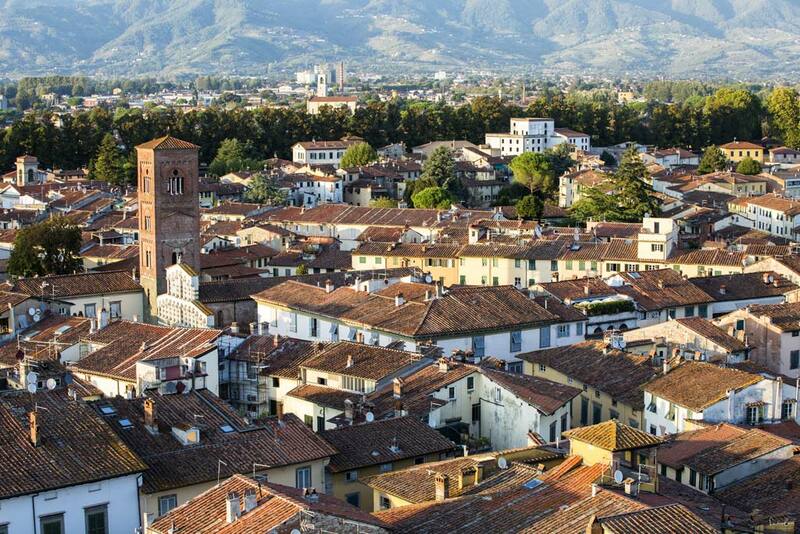 Here’s my article about Lucca with lots of things to do. The closest airport is Pisa. You can either rent a car to get to Lucca or you take the bus which takes you from the airport of Pisa to the city center of Lucca for about 4 Euro. Split is adorable and just perfect for a weekend getaway. Take a walk on the seaside promenade Riva and let your skin feel the first spring sun rays, eat authentic Dalmatian food and stroll through the little shops in the side streets. I can totally recommend a bike tour to the peninsula of Marjan with the pine forest where you will find amazing beaches to relax and enjoy doing sweet nothing. So, what do you think? Did you like my best weekend breaks in Europe? I know, it’s a tough decision, but what’s yours? Do you have any insider tips for me? I’d love to hear them. Beuatiful article. Agree with Lucca and Madrid – have been to both places. The view from “las terrazas” in Madrid are stunning, so is the old city wall of Lucca and the charming streets. I also recommended Madrid on our blog and am a big fan of Portugal’s nature. Thank you very much, Christian. True, Portugal’s nature is simply beautiful. Great list! I would love to be able to go to these cities for the weekend. Too bad I live on the other side of the word. However, I do not loose hope of living one day in Europe. Definitely too far away for a weekend getaway for you 🙁 I hope you’ll be able to visit these cites one day. Great ideas. I have been to a few of them, but a few of the other cities like Bologna and Valencia I have been considering. I have not thought about Lucca. Such perfect timing as I am planning as series of weekends away right now this is going to come in very helpful and shows me places I never thought of for a weekend. That’s great, Faith! If you have any questions, let me know. Thanks for these tips! We have been living in China for 4 years and after that I really crave Europe, especially coffee culture and museums. These are great tips, especially where to stay and help with the selection process of where to go. Thanks! Fantastic ideas to add to my list! Thanks so much. Love the photos. Thank you for sharing. Oh wow! These photos are gorgeous! I’m based in the UK at the moment, so definitely want to take advantage of some weekend breaks in Europe. Thanks for sharing! You named all of my favorite countries, especially Croatia because that is where I am from! I lovr Split, you need to go to Dubrovnik next time! Thanks, Andrea. I liked Dubrovnik very much, too! First of all – your images are stunning! Second – this is a great list of ideas. Great list! I love how it’s so easy to hop around Europe! 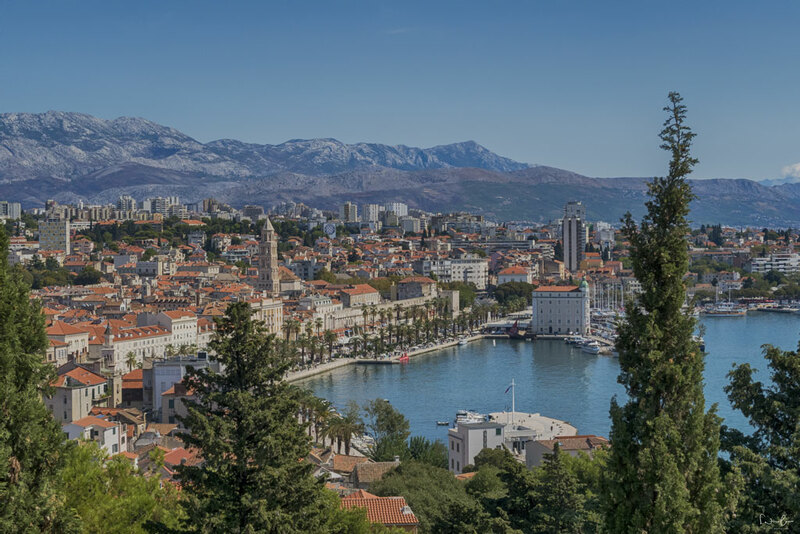 I’m hoping to explore Split the next time I’m in Europe. Thank you. Yes, that’s true and I found some good flight deals 🙂 Split is very nice, go for it! I didn’t go to Lucca the first time I was in Italy and I regret it. It’s on my list for next time because I love walled cities. Great list of locations, and as I’d expect, wonderful photography! You capture these cities so beautifully, especially getting that lovely golden light! Sign me up for any one of these weekend breaks! I particularly loved Lisbon too! And, I totally agree… Bologna is a bit of an insider spot and absolute foodie destination! Haha, sure! Yes, Bologna is a foodie destination, definitely. This is great! I’ve been to some of the destinations but now want to go to the ones I haven’t been to. Thanks for the tips. Thanks for the inspiration! I loved Lisbon so much and can’t wait to go back. Valencia is definitely top of my to-visit list too! Yeah, Lisbon is a city you can always go to, even a few times a year. Valencia is very nice! Ok I want to visit every city on this list next weekend haha – Thankfully I’ve already been to several and have to admit that Lisbon certainly captured a little of my heart too!! Oh, cool. Mallorca is such a beautiful island and I definitely want to explore more of it. Yes, they all are worth visiting. Split is wonderful, I love cities at the sea. Thanks for your comment. Wow, what a great list! I’m so envious since I don’t live in Europe and can’t take advantage of these options as weekend trips. All of these places look amazing! Thank you, Morgan. 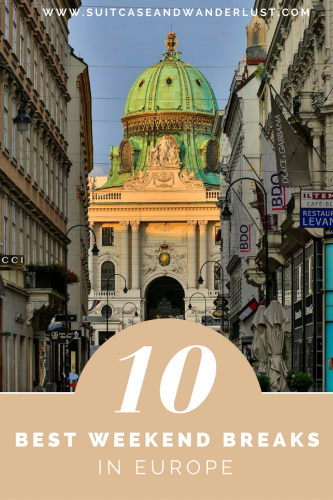 Yes, Vienna definitely deserves to be on the list and Bologna is a lovely city worth visiting! Great ideas! I still need to visit many of these! One day I will live in Europe so I can participate in these weekend breaks! For now, I will have to settle for adding them to my list for our yearly visit. I would love to visit Portugal! 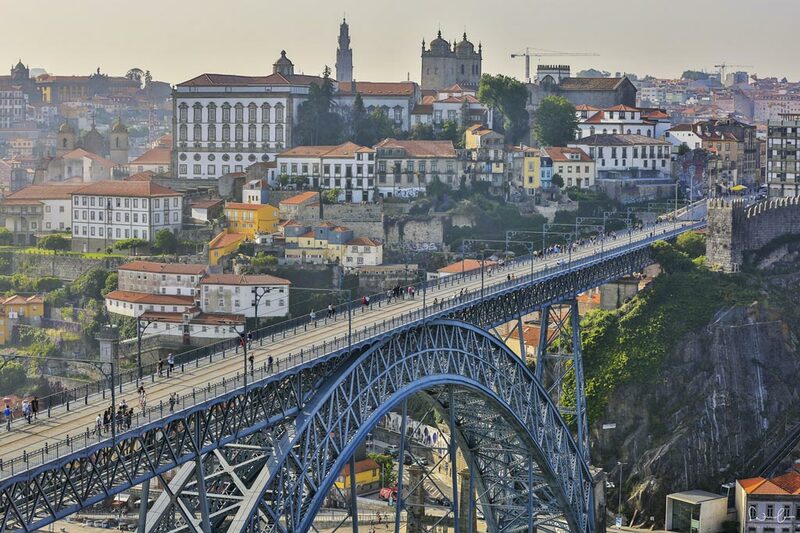 Porto is high on my list for 2018. Love your pictures!